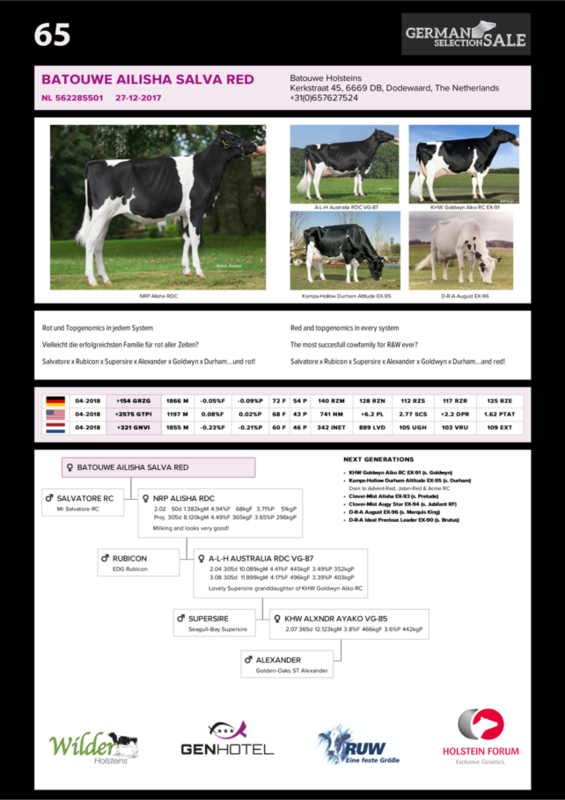 Lot 65 at the German Selection Sale is Batouwe Ailisha Salva Red. This red Salvatore daughter scores +154 GRZG / +321 GNVI / +2575 GTPI. 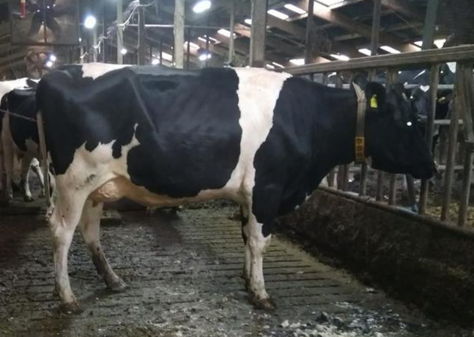 Her dam is NRP Alisha RDC, a Rubicon daughter of A-L-H Australia RDC VG-87 (Supersire x Alexander x KHW Goldwyn Aiko RC EX-91 x Kamps-Hollow Durham Altitude EX-95). Alisha RDC is already classified VG-85 VG-86-MS just fresh and she look very good. Her daughter, Salva Red, offers a high production and very good health traits. She sells with multiple embryo contracts and can be yours!